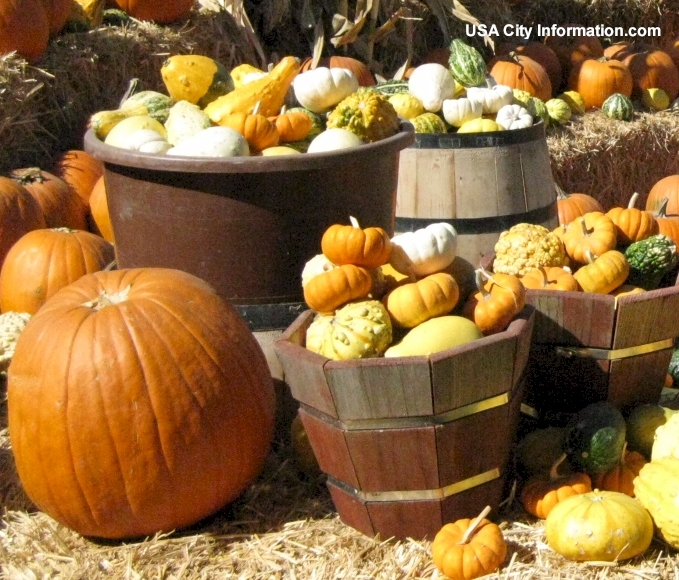 The Temecula Pumpkin and Harvest Festival is held every October at the Big Feed Store (33320 Temecula Parkway, Temecula, California 92592). The festival has the largest corn maze in southern California. The 12+ acre corn maze has a Patriotic or Farming maze theme. The festival opens everyday from October 8 to the 31. Additional activities including hay wagon rides, piglet races, pony rides, corn cannon, pumpkin bowling, steer roping, music, face painting, pumpkin patch and many other fun games and activities. Hours are from 1pm - 5pm on weekdays and 10am - 4pm weekends. Celtics, practicing the Druid religion celebrated New Year's day on November 1st. This was called "All Saints' Day". October 31st was called "All Hallows' Eve". On this night, the Celts held a fire festival called "Samhain". This night signalized the close of the harvest and the initiation of the cold and dark season of winter. On All Hallows' Eve, it was believed that the doors opened between the world of the dead and the world of the living. This allowed the spirits of the dead to come into the world of the living. The belief was that the spirits were resentful that humans took over their lands. It was customary to wear disguises to conceal one's identity from the spirits so that they would not be harmed. Many also would carve turnips to represent faces. (This is how our Jack-O-Lanterns originated). During most of these activities, many of the people would imitate the spirits and go from house to house begging for treats. Practical jokes were played whenever a house failed to supply treats. There was often the best of food and milk left for the spirits to satisfy them. (This is were Trick-or-Treat originated). These Celtic practices was brought to America when the potato crop in Ireland failed. Many of the Irish people who were modern day descendants of the Celts, came to America with the observance of the Celtic festival practices. Make a route of the homes you are going to go to and STICK to it.